This document yields several distinctions that are relevant for the further procedure to compile an LCA study. The distinctions are given in the decision tree showed in Figure 5. In the first step, both for a building LCA and a product LCA, the decision on the scope of the study has to be made. This leads to the definition of the study type used and the relevant aspects to assess may be filtered accordingly for the next steps. This includes the identification of life cycle stages that should be assessed and those that will remain optional. Refer to Table 3 for the identification of mandatory and optional life cycle stages. On the basis of the study type chosen and the life cycle stages of concern, the remaining relevant aspects are then taken into account during the setup of the LCA building model and for defining individual parameters of the system. As the term “energy efficiency” implies a lower energy input into a building or building service through a more advantageous benefit/input ratio, a comparison of the situation with or without the technology concerned may be required to identify the actual environmental consequences of utilizing such a technology. It needs to be noted that the careful definition of the two situations and a comprehensive life cycle view (inclusion of all relevant life cycle stages) is necessary to cover all environmental consequences. In addition, comparison should be done on the basis of a common functional equivalent (i.e. a representation of the required technical characteristics and functionalities of the building). 2.1. Scope of this Guidance. 2.2. Structure of the Guidance document. 2.3.4. Summary of the study type definitions. 2.4. 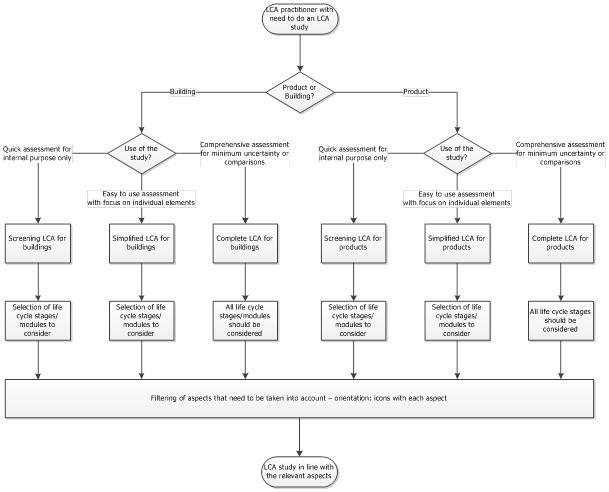 How to conduct an LCA study within the field of Energy efficient Buildings. 2.4.1. How to commence and proceed with an LCA study. 2.4.2. LCA study setup: Generic template. 2.4.3. Use of a baseline scenario. 2.5. Compliance with this Guidance. 2.6. 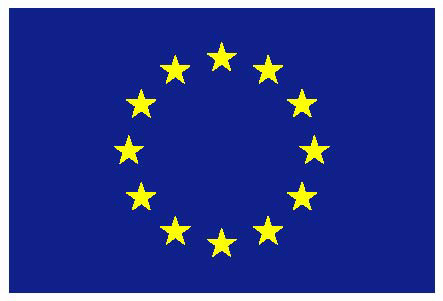 LCA studies within research projects of the Energy efficient Building European Initiative (E2B EI). 2.7. An introduction to service life planning. 2.8. Further information and training materials.